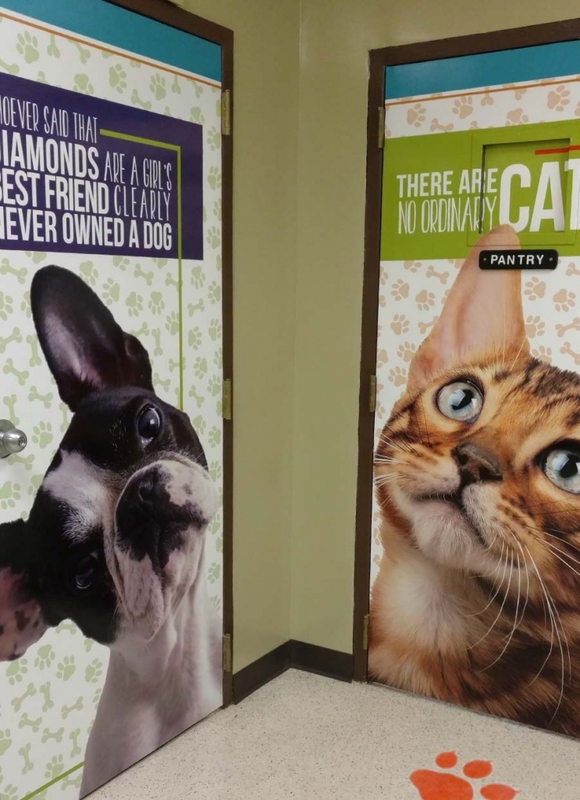 Don't mind if we show off a bit. 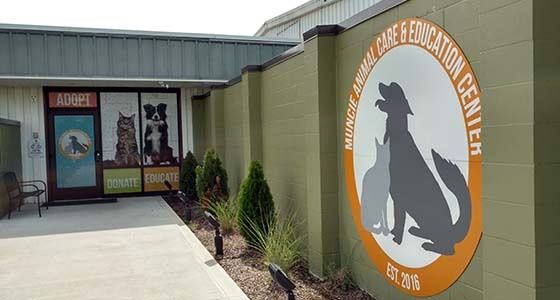 Muncie Animal Care & Education Center recently relocated to a much larger and updated facility that houses dozens of cats and dogs awaiting adoption, including two "Kitty City" rooms where 30 cats play or look out windows, along with 74 dog kennels. 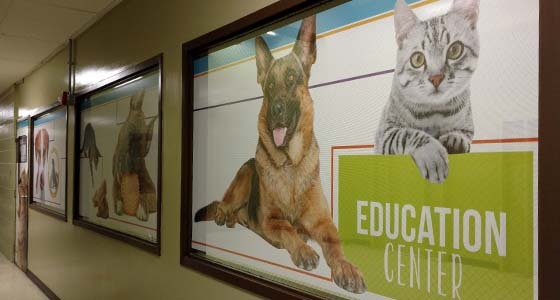 The building's interior walls, windows & doors are bright and colorful, with large photos of cats and dogs. 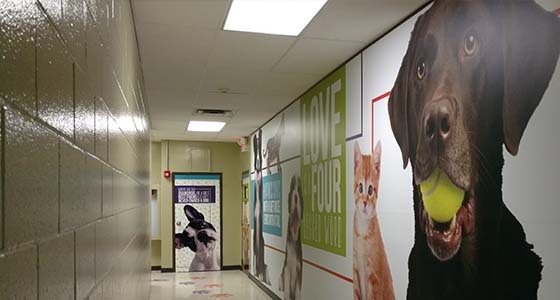 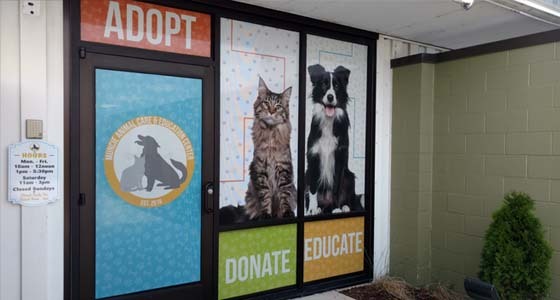 T-Max Graphics has created their branding identity, exterior displays, front entrance graphics, signage, interior graphics, and more to help the animal shelter spread the word about their great facility and services. 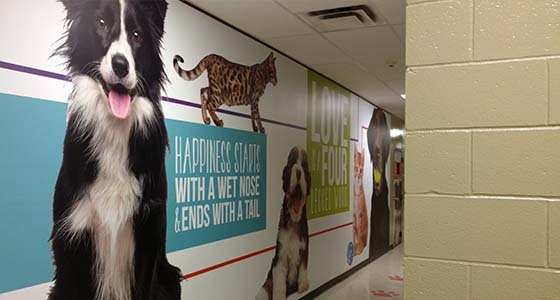 © 2016 T-MAX Graphics, Inc. All Rights Reserved.